Like you, Health Workers Union Secretary Diana Asmar is a health worker, in pathology. Diana commenced her working life as a volunteer at the Red Cross Blood Bank in 1992 as a laboratory assistant, while also undertaking an Associate Diploma of Applied Science at RMIT. Diana then worked as a phlebotomist, clerical worker and courier at Panch Hospital (Preston and Northcote Community Hospital), before the hospital was sold and transferred to what is now the Northern Hospital, conducting home visits collecting blood from the elderly and people with disabilities. She’s also worked in pathology at Royal Melbourne Hospital, as a night-shift laboratory assistant at Sunshine Hospital (Western Health), and at the Melbourne Rehabilitation Centre in Parkville. Diana understands the unique pressures shift-workers face. It was during her time at Northern Hospital, however, that Diana Asmar first became an active unionist, regularly standing up to her direct employer, Dorevitch Pathology, a company regarded then and now as notoriously anti-worker. Diana Asmar has been a member of Health Workers Union since 1998. 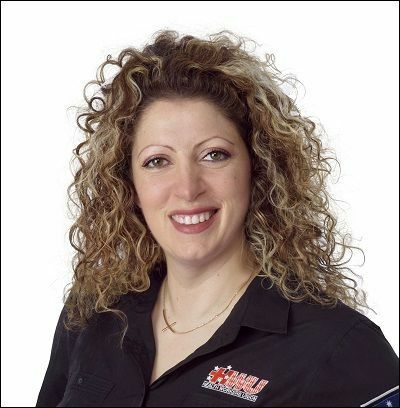 Between 2000 and 2004 Diana served as HSU delegate, Health and Safety Rep and Chair of the HSU Delegates Committee at the Royal Melbourne Hospital. It was in this role, helping her work colleagues stand up against bad managers, that she understood the importance of collective strength. Workers that stick together win! Diana also undertook Union training through the ACTU and completed the Anna Stewart Memorial Internship at Victorian Trades Hall Council. In 2004, Diana became a HSU Industrial Organiser, helping empower workers to know their rights and entitlements, and to join the union. She fought hard in tribunals to negotiate better pay in enterprise agreements. Diana also has extensive community involvement, both in local government and fund-raising for the Diana Asmar MS Research Fund at Monash University. She was recognised for her work in the community with the Centenary of Federation Medal in 2001, as a baton relay runner during the 2006 Commonwealth Games, and received the Australian Fundraising Institute Volunteer of the Year Award (Victoria/Tasmania Chapter 1) in 2007. She also gained further experience working as the first female industrial organiser at the Transport Workers Union. She decided to leave the TWU to focus on rescuing the HWU from its then leadership which had left the Union in chaos and scandal. Working with grassroots HWU members, Diana was elected to the position of Health Workers Union Secretary in December 2012, and was re-elected to the same position in 2014 with over 93% of the vote, having restored decency, industrial smarts and financial stability to your Union. Diana is a mother of two. When he was a boy David Eden knew that when he grew up he wanted to work in a job where he could help others. Social justice, fairness, treating all people with respect, and standing up for those that can’t stand up for themselves, are values he was infused with early on by his father. His grandmother worked 30 years in the Ballarat Children’s Home as a house parent and he grew up watching her treat everyone with respect, dignity and care - regardless of their circumstances. He and his brother were also junior Judo champions, and often found themselves using their skills to defend their classmates against bullies. The career David chose was nursing. It was a choice that proved to be a very good fit for his character. Looking after others came naturally to David, and he was good at it. David commenced work as an Enrolled Nurse in March 1988 at the Queen Elizabeth Centre (Aged Care) in Ballarat. He joined the union the same year. The union he joined was a forerunner to the HWU, the Hospital Employees Federation. David recounts that very early in his career, as part of his induction in fact, he attended an information session given by a union delegate, and he was hooked. Shortly after joining the union David became a delegate himself and shortly after that, an organiser. He was an organiser with what was then called the HSUA VIC 1 Branch for five and a half years. David worked a regional Victorian “patch” that was vast and challenging. It would be easier to list the regions David did not cover in those years. He serviced the needs of members from Ballarat, Bendigo, the Mallee, the Wimmera, the south west and the far north of the State. David knew what mattered to country people and to the union’s regionally based members. His years as a nurse in the system meant that he also understood very clearly the issues and challenges workers in the sector were, and still are, facing. David made a point of getting to know people in all facets and in all jobs in the health system. “I worked as a nurse, so I already knew all the nursing staff. I made it my business to get to know the people in other parts of the system – cleaners, pathology workers, admin staff – I knew all of them, and was given respect as a union delegate as a result”. David quickly began to see that there was a great mismatch in terms of the career prospects and pathways of some professionals in the sector – in particular nurses – and the opportunities for personal and career development open to other staff. Workers become, as David calls it, “stuck” in roles with little or no pathway or opportunity for advancement. One of the key drivers for David then and still today is to improve the career structures and training opportunities for staff across the board. “We can do things like rotate rosters to ensure workers are exposed to a variety of roles, and we can embed training in our conditions so that all workers get access to opportunity. Nurses have a very clear career progression pathway. In other areas there might be a Cert III or IV level course available, but that’s it. We need to unplug that opportunity for everyone. It’s also about recruitment and retention. We need more people entering the sector and to stop people leaving it, and better training and career pathways are key to being able to achieve that”. After nearly six years on the road as a regional organiser, in the early-2000s, David took a break from full time unionism and returned to work in his chosen profession at St John of God Healthcare, working in both acute and community care. He remained close to the union and successfully put himself forward as HWU President in 2012. He made a full time return to union life shortly after that when was elected Assistant Secretary in 2014 with a majority support of 97%. “We need to focus on getting the next generation of members to get on board with us. We need to make them see that without collective strength, workers are basically sitting ducks for employers. And, the best way to do that is by getting them involved at the start of their careers, through training and opportunity. We need to put the structures in place that enable young people to choose health care as a career and have choices, and a career pathway to follow. We are making a difference here, but there is still much more to do”. Rhonda Barclay knows better than most what matters to workers in the Victorian health sector. She worked in it for nearly 30 years before a work-related shoulder injury meant she could no longer do the job she loved, retiring from Austin Health a few years ago. Rhonda started work in the sector in 1985, as a cleaner at the Austin Hospital. Soon after that Rhonda got a job a as a PSA and spent the next 27 years in that role. Two years into her role as a PSA, in 1989, Rhonda joined the union. Rhonda became a workplace delegate soon after joining and has been a strong and loud voice for those she represents ever since. She says that being from a family with strong Labor values instilled in her the importance of helping her workmates. When the new leadership of the HWU was elected in 2012 Rhonda was elected to the BCOM and to the role of Junior Vice President. At the subsequent election, she was elected HWU President, a role she thoroughly enjoys. Over nearly three decades in the sector, Rhonda says she has pretty much seen it all. The new Public Sector Agreement is, she says, a great example of what can be achieved when the union leadership is focused on achieving outcomes for members. And, says Rhonda, while things are much better for health workers generally now that say 25 years ago, in some areas there is still a great deal to do. Lee Atkinson is one of the Health Workers Unions most experienced unionists. 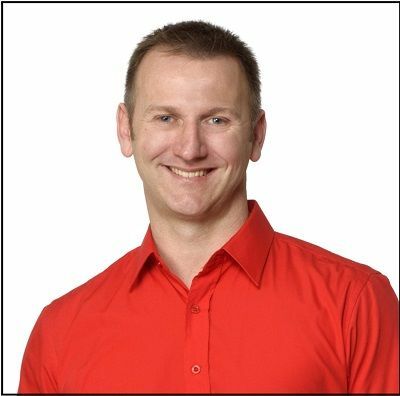 In 1989, Lee first worked in the health industry as an orderly at the Western Hospital in Footscray. He also joined the union in the same year. Lee spent the next 10 years at the Western Hospital. He also went back to study in that period, completing a Division 2 Nursing qualification. It was through his outstanding work as a union delegate, that Lee was seconded to work full time in the union. That was in the early 2000’s and Lee worked as a Regional Organiser. Lee organised workplaces as far north as Mildura, to the south-western in towns like Warrnambool and Portland. In 2014, Lee was elected as the union’s Senior Vice President. He is also a proud member of the union’s Branch Committee. Lee says his greatest achievement to date is securing countless new workplace agreements that improve the pay and conditions of members. “Getting our members higher pay and better conditions is the bread and butter of unions. The leadership of the union, of which I am part, is 100% focused on outcomes. We’ve got the runs on the board so far and we will continue to work long hours to achieve more for our members. Sherida “Sheri” Jacks has worked in the health sector for 23 years, and has been a union member for more than a decade. Sherri began her career in health administration at St Vincent’s Hospital in the early 1990’s, moving to the Austin after two years. Sherri settled into her role at Austin Health, where she has been a Ward Clark for more than 20 years. Sheri joined the union in 2004. She became involved in the union because she wanted to be able to help Clerical/PSA workers receive pay and conditions that were fair; and which reflected the broad range of skills clerical workers have and the crucially important role they play in the effective operation of the health system. Sheri wanted to help others to help themselves, and give a voice to workers who for too long had been undervalued. Sheri says the HWU is back on track, delivering for members. Sheri cites the leadership of Secretary Diana Asmar and Assistant Secretary David Eden as key to the HWU’s resurgence. The challenge now is to continue to grow the membership base and Sheri thinks that delivering results is the best way to do that. “There are some great benefits that the union has negotiated for members in recent years, like Ambulance cover for members and their families, $10,000 in funeral cover and public indemnity coverage up to $10M. So, members are looked after if they get sick or their families face large funeral expenses. And, if they are unlucky enough to be caught up in legal action, they are protected then too. So, when you put these things with the new EA’s and pay rates, there is a lot of benefits for members”. Sheri is also a member of the Finance and Audit Committee, where her extensive administrative and financial management experience can be best utilised. In her mid-60’s and approaching retirement age, Sheri has no plans on slowing down just yet. Nick Katsis joined the HWU as an Organiser in 2013 and elected to the BCOM in 2014. Since commencing with the HWU, he has held various roles including Industrial Officer, Lead Organiser, Senior Lead Organiser and currently Training & Development Manager. It was evident from an early age that Nick was destined to enter union ranks; known for standing firm against management and supporting his work colleagues in industrial matters since the age of 17. Upon graduating with a Bachelor of Arts Degree from Victoria University in 1989, he commenced employment with Ansett Australia. During his employment with Ansett, his career included Finance Executive, Sales Executive and the undertaking of various roles within the Operations Department at Melbourne Airport inclusive of in-house Training Officer. Following the collapse of Ansett Australia, he followed his passion of education and entered Primary Teaching after studying a Graduate Diploma in Education. He then spent the next 10 years teaching in both the private and public sectors, and during this period, he was a strong advocate for staff and became an OH&S Representative. During this time, Nick managed to study and attain a Graduate Certificate in Australian Immigration Law and Practice to enable him to better assist families migrating to Australia. Nick has always been passionate about social justice and been an advocate for workers and their families. He has been heavily engaged in local politics and was elected as a Councillor with the City of Darebin between 2008-2012. Nick has a strong background in the ALP, has worked on a range of campaigns and participated in policy and strategy development. His breadth and depth of experience within the corporate, business, legal and education sectors, have proved to be a great asset to the union. Having developed and delivered training programs within both the corporate and education sectors, Nick has been able to tailor-design and deliver a targeted training program to HWU delegates. Velda Mitchell “fell into” the health sector and unionism. From a family with a strong and proud history in the armed services, Velda was a Corporal in the Army Reserves before getting married and moving to Echuca more than 20 years ago. Velda got work at the Echuca Regional Health which also operated a Nursing Home and Hostel. Velda was employed as a Personal Care Worker at the Hostel before moving 12 years ago into the main hospital as a Ward Clerk in the Emergency Department. Velda loved the role but it soon became clear to her that the staff at the Hostel were isolated and had no effective voice. So, Velda joined the union and became their delegate and representative in the workplace. Velda has been a union member for most of her 20 plus years in the sector. Velda’s background in the military had instilled in her the importance of looking out for your work mates, and a desire to help others. Velda says that, thanks mainly to the leadership of Diana Asmar and David Eden, the HWU is functioning very well and making a real difference to members’ lives. But, she says, some big challenges remain ahead of the union and society more broadly. Gender equality is one of those areas, as is training. Velda is also a member of the Finance and Audit Committee. Lisa Fisher was elected to the BCOM in 2012. She brings significant sector experience to her role on BCOM, having worked for the past 14 years for Monash Health. Lisa started work as a temporary employee, through an agency, and soon became a permanent employee working in food services. She still works in food services, as a menu monitor. Motivating Lisa to become increasingly involved in the union over her 14 years with Monash is the desire to help others to help themselves. The best way Lisa saw to help protect herself and her workmates from things like bullying and harassment in the workplace, was to join the union. Lisa says she has seen good and bad managers come and go over her time in the sector. Some managers, she says, have been great to deal with and consulted with workers, whereas others have been less concerned with worker well-being. “The key to a happy and productive workplace is creating an environment that allows workers to have a say in decisions that impact them. Some employers treat workers badly, and consult with them only after decisions have been made. That is why the union is so important. Without the union employers will just do what they like and workers will lose out”. Lisa is very happy to be part of the BCOM team and says that under the leadership of Diana Asmar, the BCOM and the union is operating much more effectively and transparently than it had previously. Lia and her partner have 5 children between them and several grandchildren. She says the future looks very bright for the union and therefore for members. “We are going full steam ahead now, getting results for members in terms of new EBAs, better pay and conditions and workers know that the union is behind them if they are faced with bullying behaviour from employers”. Andrew Hargreaves has been working in the health sector for almost 30 years. Born and bred in Geelong, Andrew’s first role in the sector was at the Grace McKellar Centre in Geelong in 1989. He worked there for about five years as an orderly but also doing stores and cleaning. As Andrew got to see more of the hospital, he decided he wanted to become a theatre technician and so he did a course and got himself a role at the Bellarine Private Hospital. Following a two-year stint there, he moved to St John of God in Geelong, where he says he really learnt the ropes of being a good theatre technician. After three years at St John of God Andrew got a job at the Werribee Hospital in 2001, and has been there ever since. A union member since the late 90’s, it was at Werribee where Andrew met then organiser, HWU Secretary Diana Asmar, and he became much more engaged in union activities. A union delegate for the past decade, Andrew says he is very glad the past is behind the union and the future, under the leadership of Diana and David, is looking very bright. In terms of the big challenges for the union, Andrew says that keeping faith with the trust shown by members in the union is the key. Maintaining and increasing membership is also an obvious priority and making sure that all members, not just those with larger employers, are looked after. “It is really important that all our members are looked after equally. I am always conscious of ensuring members don’t become isolated and vulnerable to mistreatment by employers. We have members, in places like GP clinics for example, who might be the only union member in that workplace. Those members can be subject to bullying and harassment by employers, especially if they feel they are on their own”. Andrew was elected to BCOM in 2012 and re-elected in 2014. He also Chairs the Audit and Compliance Committee and is a Trustee of the HWU. Lance Smith joined the army when he 17 years old. He served for 20 years, working in a variety of roles - from cook to clark. He had never given much thought to unionism. He didn’t need to in the army. But when he got out into the civilian workforce, taking a job as a kitchen-hand at the Wodonga Hospital, Lance decided to go along to a union meeting and see what it was all about. He could see the benefits of unionism, primarily in terms of giving workers a better say in issues that directly impact them. They needed a voice, and so he joined the union and has been an active member since 1996, becoming a delegate for the Wodonga Hospital in 2000. Lance joined the BCOM in 2012. In the years since, under the leadership and guidance of Secretary Diana Asmar and Assistant Secretary David Eden, the HWU has grown stronger. Lance says that in 2012 the attitude of the leadership and the new BCOM has been very positive for the union. Lance says the collaborative approach within the union has been a great support for Lance in his role as delegate and later as a BCOM member. “The BCOM is a forum where we can raise issues that directly impact the lives of members in our areas, share information and agree the best way to tackle issues. We all rely on each other to bring our experience to the table and get the best outcomes for members”. Lance says, being able to talk to the Secretary or Assistant Secretary or other BCOM members about “how to take the next step” in terms of resolving a specific issue, is very valuable. In terms of the big challenges ahead, Lance sees cost pressures putting pressures on workers as one of the big ones, and says the HWU’s role is to make sure they don’t cut our members pay or reduce their entitlements to make cost savings. Having worked in the health sector since the late 1980’s, Sue Stone knows all about hard work. She also knows about the value of unionism, collectivism and of looking out for your workmates. Sue started her career as what was then called a Domestic Aid, in 1987, in a Hostel facility for quadriplegic re-hab patients. She worked in that role for three years before the facility closed and Sue and her colleagues obtained roles at the main Austin Hospital in Heidelberg. Sue became a PSA at the Austin and never looked back, working there for the next 25 plus years. Sue has been a member of the union all her working life. She is from a strong union family and has always been “staunch” as she puts it. “When I started, domestic aids like me did not have much of a voice in the workplace, so it was really important that we (Rhonda and I) joined the union and encouraged our workmates to do the same. Were it not for the union, we would not have been redeployed to the Austin or had the opportunity to develop new skills as PSAs”. Rather than be a delegate or organiser, Sue always preferred to work behind the scenes, doing the hard yards to support her sister and other delegates and organisers. Sue worked tirelessly in support of the union over many campaigns and over many years. She says she has seen the best and worst in terms of union behaviours over that time. The bad years she would prefer to forget, but says the good years have only just begun. “Diana Asmar has been like a breath of fresh air for the union and its members. She really cares about the workers, and has great integrity”. Sue now works two days per week at the Austin. She was elected to the BCOM in 2012, and re-elected in 2014. Sue also serves on the Finance and Audit Committee and is an HWU Trustee. I commenced working for the Royal Melbourne Hospital in 1994, my duties included housekeeping and cleaning support services. I signed up for the union in 1994 and shortly after I served as a workplace delegate for 10 years. In 2012 I was elected to a position within the Branch Committee of Management and again re-elected in 2014. The former HSU officials left the HWU in ruins. Countless expired EBAs, our finances were a mess and all of our members documents had been put through the shredder. With my vast experience as union delegate and in my position on the Branch Committee I have made it a mission of mine to right the wrongs of the former union management and to ensure our members receive the representation that they deserve within the workplace.